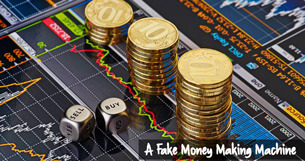 Doing extensive research with lots of binary trading options have given us lots of insight when we check for the validity of a certain product. When checking Orion Code we have found that it is not a scam program and can be used by anyone. We highly recommend this particular one for all beginners. Wake the kids, time to celebrate “Cut My Taxes Week” with Rick Scott! The main event features Gov. Scott and special guests (pinch yourself) that include University of Florida mascots Albert and Alberta Gator mingling with the general public at a special “Tax Cut Calculator booth in the Florida State Capitol. There, you can see the miracle of fuzzy math at work. Just enter the amount you pay monthly for TV and phone services, say $100, and wait for the magic. Holy Cow, look, you could save a total of $43 in taxes and fees on those services next year! “Florida families know how to spend their hard earned money better than government can. But you’re smarter and savvier than he assumes. Ask how that adds up, when so many low and middle-income folks with 10 grand in credit card debt spend so much dough on slot machines and lottery tickets. Ask why so many got trapped into mortgages from Hell, and lost their homes. You could ask why that $43 compares so unfavorably with the $3-4 billion in corporate tax evasion he and his legislative allies let Florida’s biggest, most profitable businesses get away with each and every year. But why worry about tax fairness, when you “will be able to get back real money back” — to quote the governor word for word. Forty-three bucks! Ask how dare he try tricking a Florida middle class just treading water into thinking Republican economic and tax policies have done anything but create a record-breaking and ever-widening income gap between the rich and everybody else – thanks to placing unfair burdens on working families and retirees. Ask about the recent release of yet another major study, this one from a nonpartisan economic think tank, ranking Florida as having the second most unfair tax system in America. Just don’t expect real answers; at least not ones that make sense or are based on actual factual information. Try not to let frustration take over. But, if you are ordered to stop kicking the “Tax Cut Calculator” and told to vacate the capitol by Scott’s security guards, remind the governor of an old adage on your way out. Facts don’t lie, people do. Daniel Tilson has a Boca Raton-based communications firm called Full Cup Media, specializing in online video and written content for non-profits, political candidates and organizations, and small businesses. Column courtesy of Context Florida.